Decorating Round up – Did Ya See This? Decorating Roundup - Did Ya See this? Decorating Roundup is something new. You know I spend a lot of time looking at pretty and crazy things online to do with home decorating. Some things go into a file to write about in a later post. 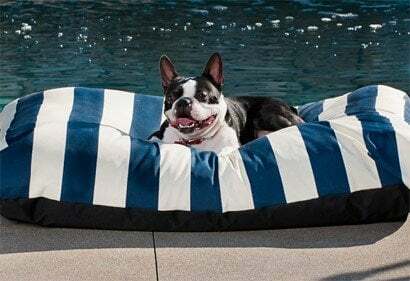 Some things are too cute to put off - so I thought I would do a little share. And since the weekend is almost here.. who has time for a big read anyway? Some are small ideas that you can do in just a few hours .. and make you ask, why didn't you do them before? Others are pure fun. The first snippet is a front door makeover from Inspired Room. The front door was black trim. 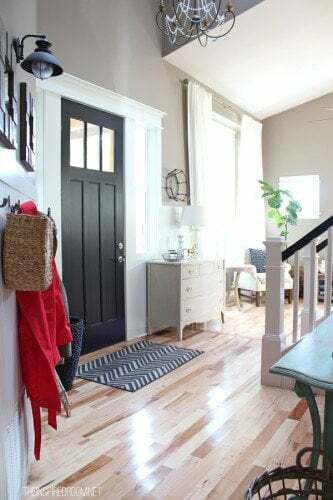 I love black trim... but sometimes it can be a little harsh - so Melissa from the Inspired Room changed it for a gray paint color that is softer and goes with the internal color scheme beautifully. Before you read the full post here, does your front door need a do-over? Paint and new hardware might just make your entry smile again... what color are you thinking of? 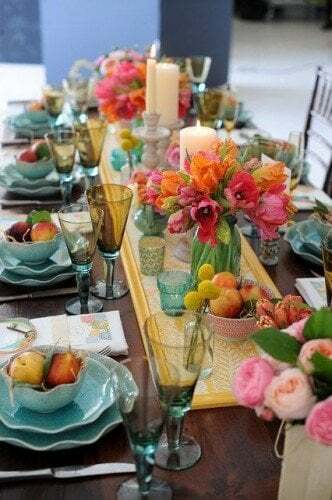 You can really change the look of a table with a new table centerpiece and table settings. 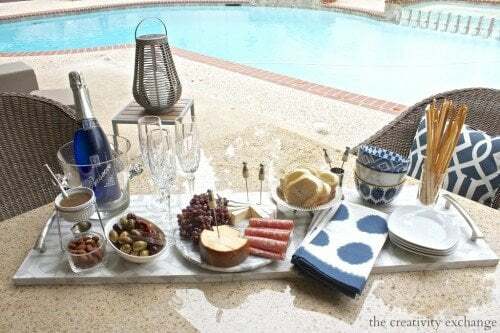 This DIY project is an oversized tray, and at this very low cost, you can make a pile of them for almost any ocassion. This DIY tray looks spectacular, gluing wallpaper on a plywood board and adding pulls on either side. The full tutorial is at the Creativity Exchange. The possibilities are endless. Of course, you can make lots of different sizes, colors and patterns. Or what about making a table centerpiece like this one below that you can add your flowers, candles and other table treats? Cheaper than expensive runners and easier to clean. There is nothing more refreshing than entering a room that smells fresh and clean. So, if you are looking for the best way to get a good night's sleep, keep your guests hungry and happy or destroy bathroom smells, Brightnest has 20 smelly tips that will give you the right scent for each room. 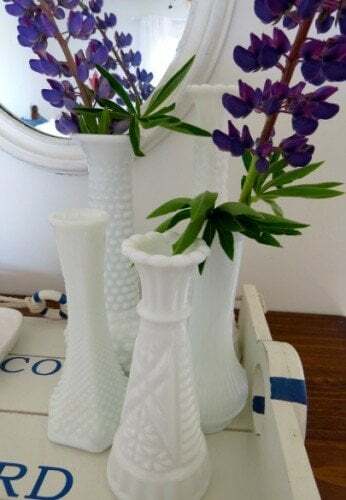 Cottage decor is popular all year round but in Summer cottage decor just blooms, so I was happy to discover Cobistyle's blog post with 10 cottage decor tips that are affordable and full of flea market and thrift shop ideas and perfect for the bargain hunter. Each idea is inexpensive and more about styling; getting the best out of your garage finds and using color to your advantage. You can find all 10 tips here. After writing about kitchen countertop ideas yesterday in a blog post, I saw this today in my email in box - luxurious high end kitchens. They are a lot more expensive that the kitchens I posted about, but all I can say is... Yum! I thought I should share a little of this delicious eye candy... and if you follow the thrifty tips in the 10 Cottage Decorating Tips above... one day, you might be able to afford one! 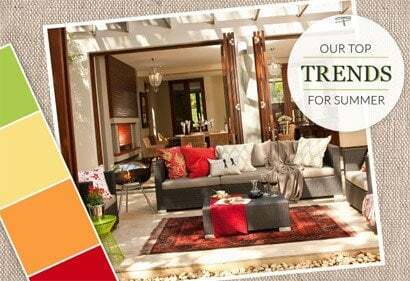 Home Bunch also has gorgeous traditional and transitional home decor designs that are simply beautiful... from bedrooms to dining rooms and of course, kitchens. Taxidermy-inspired decor is hot! Fabric-wrapped tiger and elephant heads lends and exotic flavor with a touch of fun. 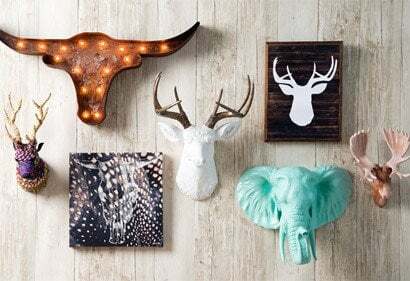 There are wall-mount faux deer skulls, a Montana ram head that looks like an expensive antique and at least 70 more buck heads, rhinoceros, bull, bears and beavers to choose from for any room and any decor. To see the complete zoo, click here. To complete this weeks round up are Joss and Main's top trends for summer. You can see the long list here. 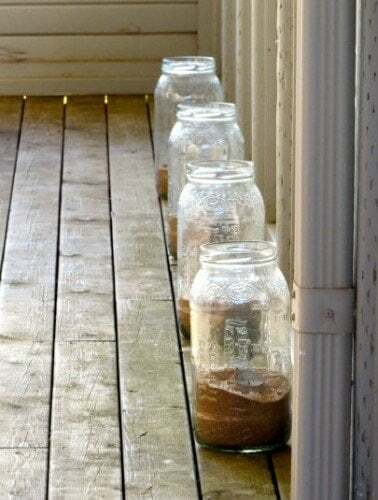 I hope this has inspired you to either do a little DIY this weekend ... or a little dreaming about what you might do next weekend!